Is Carlos Sainz a better option for Red Bull Racing than Pierre Gasly? The motorsport world was shocked by the announcement of Daniel Ricciardo taking his leave from Red Bull. Ricciardo has been a part of the Red Bull family since 2010, briefly leaving it in 2011 for HRT but rejoining as a Toro Rosso driver. After serving at Red Bull Racing for 8 years, Riccardo is all set to join Renault alongside teammate Nico Hulkenberg. 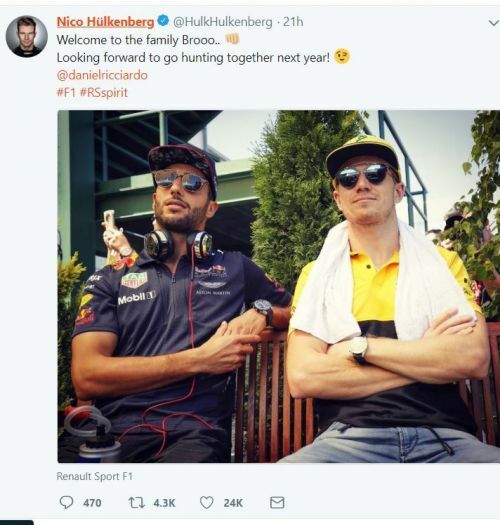 The news was confirmed by Daniel Ricciardo himself followed by Nico Hulkenberg, who posted a pic with Ricciardo welcoming him to the team. Red Bull Racing team principal Christian Horner said, "We fully respect Daniel's decision to leave Aston Martin Red Bull Racing, and we wish him all the best in the future. We would like to thank him for his dedication and the role he has played since joining the team in 2014." The honey badger also admitted the decision was tough and said, "It was probably one of the most difficult decisions to take in my career so far. But I thought that it was time for me to take on a fresh and new challenge." With a new "challenge" on his way, Ricciardo has chosen his fate - leaving Red Bull Racing in jeopardy as to who will partner Max Verstappen in the 2019 season. Christian Horner in a statement said, "We are assessing our choices." 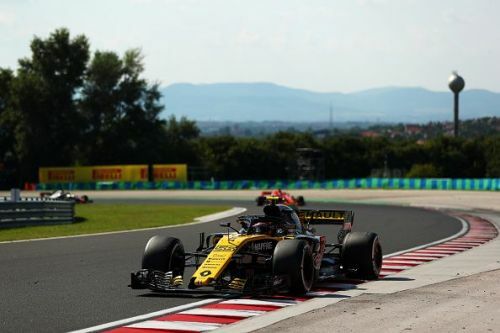 Carlos Sainz, who was on loan to Renault, will reportedly be added back to the Red Bull family, making him a contender alongside Pierre Gasly. Sainz is definitely a driver on target compared to Pierre, and he has more experience and better race craft. Sainz has scored more than Gasly too, dragging the Renault almost every time into a respectful position. He has eight point finishes in comparison to Gasly's three. In wet conditions, Sainz has proved to be better than Gasly and recently Christian Horner himself said that Sainz is a "safety net" in case Ricciardo leaves, which reinforces the possible induction of Sainz in Red Bull. The company would probably want to give preference to their primary driver, Max Verstappen. Going by that theory, Sainz would be a perfect replacement as a number 2 driver; Gasly, with his lesser experience and also considering his aggressive and calculative mindset, would be more suitable for the primary driver spot.